WestJet is targeting business travellers out East with their latest Fast Track to Gold Elite Status offer. WestJet Rewards members who register for the promotion will be awarded Gold Elite Status when they complete 10 round trips (or 20 one way flights) on Eastern Triangle routes and to Boston and New York LGA. 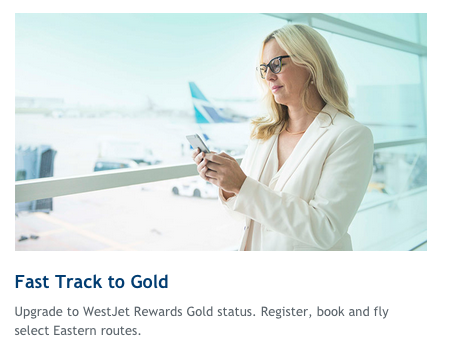 Of course if 10/20 flights are out of your reach but want some benefits of Gold Status like the first bag checked for free we recommend grabbing the WestJet RBC World Elite MasterCard.